I truly believe that one vehicle that is going to remain a staple of the classic car scene is the old school pickup. Whether as a restoration project, a custom, or a rat rod, people enthusiastically grab these vehicles and put their own mark on them. 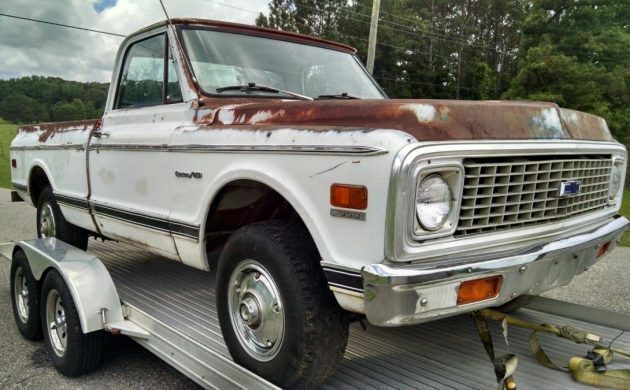 This 1972 Chevrolet C10 Pickup is located in Anderson, South Carolina, and is listed for sale here on eBay in a No Reserve auction. The C10 looks to be quite straight, with little in the way of dings or dents. There is rust to contend with, but none of it looks to be too severe. It is in all of the usual places, including the cab corners, the floors, rockers, and the bed. The frame is said to be solid, but one item missing is the tailgate. It appears that all of the original factory tinted glass is present and in good condition. 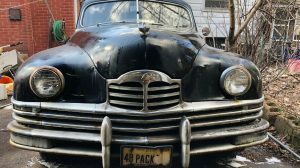 There are no photos of the engine, which is entirely understandable given the fact that the Pickup doesn’t currently have either an engine or transmission. 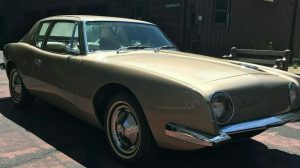 The original 350ci 4-barrel engine and automatic transmission have been removed at some point, so from that perspective, the new owner can configure the vehicle to their own taste or requirements. 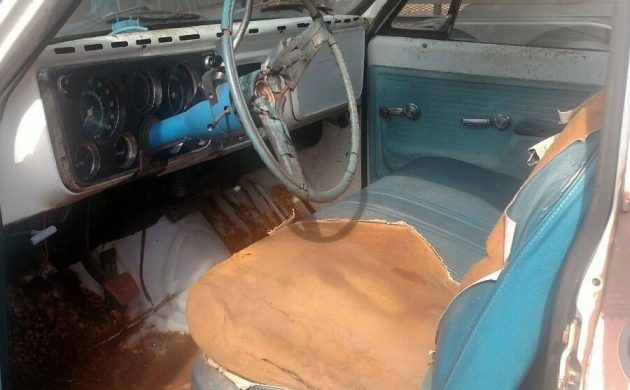 The interior is virtually complete, with only the dash pad and the original factory radio missing. The seat will need a new cover, the steering wheel is beyond help, and there are also holes cut in both doors where speakers have been fitted. The arm-rests on both doors also look tired, but the rest of the interior looks quite serviceable. 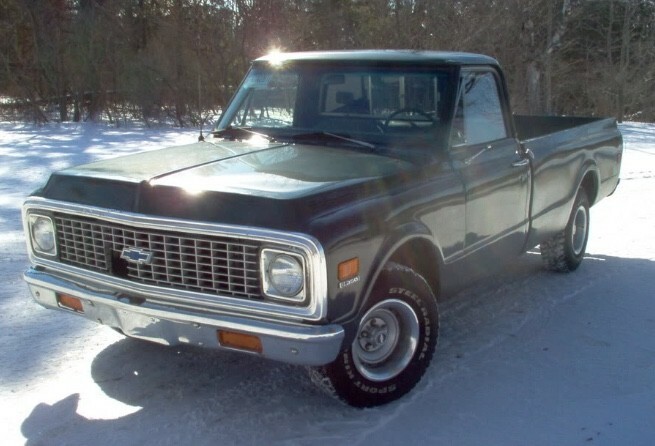 With the popularity of the C10 Pickup, I’m not surprised that bidding on this vehicle has been quite spirited. Nice examples tend to start at around $24,000, and from there the prices can really skyrocket. 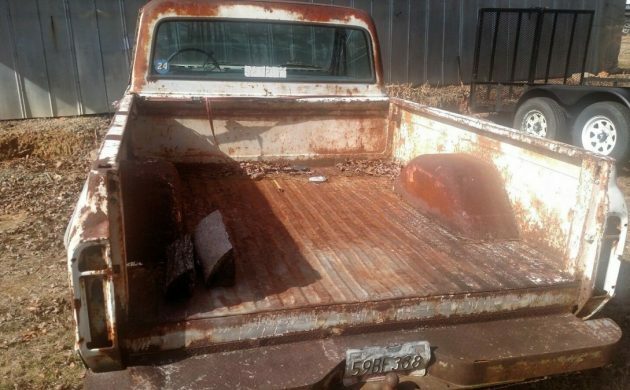 So far, 11 people have submitted bids on the C10, but this has only pushed to bidding to $2,468 in the No reserve auction. I wouldn’t be at all surprised to see bidding go quite a bit higher. I’ve always associated these style hubcaps with 4WD? @ Eric G, I thought so at first glance also. However if you look at the E-Bay listing, it is most certainly not. These hubcaps were also available on 2wd. My father-in-law has the same caps on his 1970 C-10 2wd that is still in original paint. As for being 4wd, a floor shift lever is not present, so that would indicate it is 2wd, although I momentarily had the same thought, having no engine allows the front suspension to rise giving it a little higher appearance. When I was 18 (year 2003) I started a small landscaping business as I had worked at a golf course in the summers for years but felt I could make better money applying my skills elsewhere. In preparation I needed a truck. I loved 67-72 and tracked down a pretty nice ’72 long bed in Winnipeg MB, Canada. 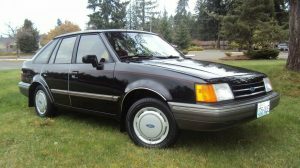 Being young, ambitious, and with a recent tax return burning a hole in my pocket I bought it sight unseen and my dad and I flew to Winnipeg and drove it 1500 miles home. He thought I was nuts, but wasn’t going to stop me. Middle of March made the trek back home through northern Ontario, literally temperatures below -30. No radio, smoked like hell, dog slow (had a worn out 350 out of an 80’s truck). Had it for a few years. Used it for work, buddies and I would load up and go into town for a night out, was a cool truck at a cool life period. Sold it in probably 2006-7 as I got a real job and needed something more suitable for commuting. I’d love another one. 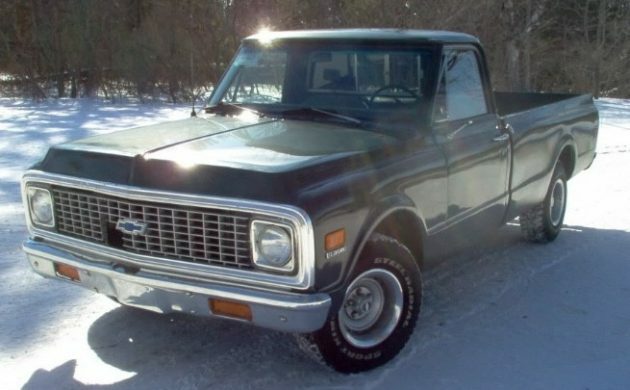 In fact I’d love to do a matching C10 and K5 Blazer. C10 lowered, K5 small lift. One for each of my daughters. Have lots of time.. They’re only 5 and 3.. Maybe give them some cool memories too. At least with be 2wd, the buyer won’t have to worry about sourcing a xfer case also (based on the front end shot). Regardless of what’s said, there’s enough rust there to keep someone busy for some time. Really? $2800.00 ? for a rusted shell with no drivetrain? We have lost our minds but thanks to the folks who are willing to pay this. Just drives the price of Colonel Mustard up up and away. Nutty. 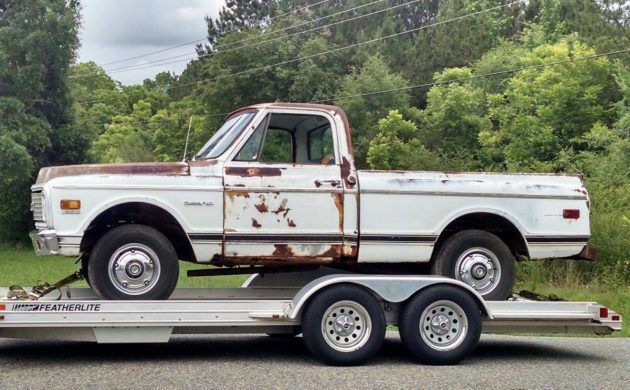 A friend of mine has a 1969 Chevy C20 for sale in similar shape (as far as the body goes) that runs & drives…kinda (bad brakes). 283 & 3 on the tree. He wants $2,500.00 for it. Maybe I should buy his lol. I still prefer the short bed on this one though. 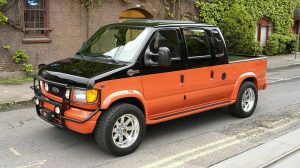 But still, running, driving (sorta), and less money, might be worth the extra length in the box & a little stiffer ride. Any thoughts from the peanut gallery? Yeah that is a lot of rust for a truck in Anderson SC. Trucks in that condition usually sell around here for around 400 to 500. This dude is absurd for the condition it is in.